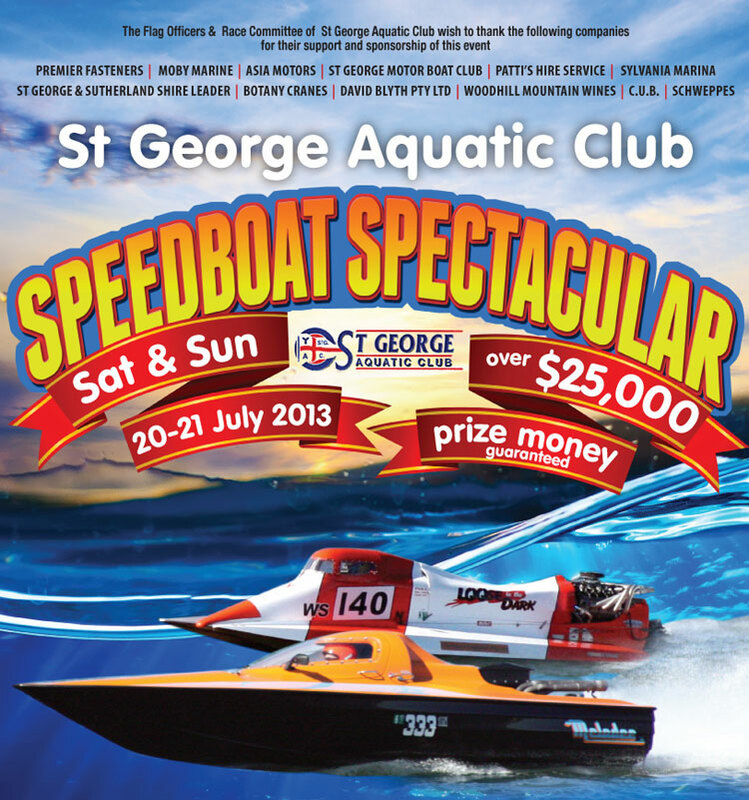 Due to the effects of cyclone Oma and the predicted southerly winds for the weekend the decision has been made to postpone the 2019 Speedboat Spectacular from this weekend until the 29 & 30 June 2019. Apologies to everyone who was looking forward to a great weekend of racing, but every weather forecast was consistent with predicted winds that would make it unsafe for racing. We have called it as early as possible to save those travelling from interstate a wasted trip, also to minimize expenses for all of the support services. 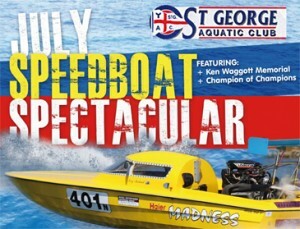 Current entries will be valid for June, where we hope to add another championship event. Entry fees can be refunded if required, now or later once competitors have determined their availability. 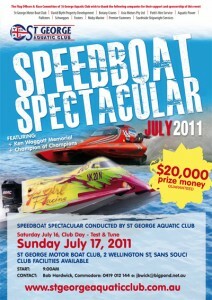 Over $20,000 in prize money ups for grabs! Consider the discount as a contribution towards tow money. 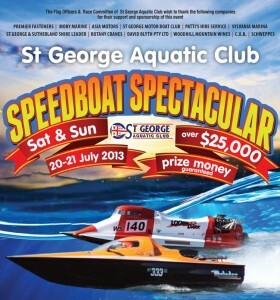 Prize money will be paid to all boats completing a “final” of all events. To enter, download & print the St. George PBC Race Entry Form, complete the form and scan and send to commodore@stgeorgepbc.com.au or use the online entry form (below). Payment can be made through direct deposit, please see the details below. NOTE: Entry fee refunds are available for withdrawal due to mechanical issues or other problems if email request is received by the race committee by midday Friday 22 February 2019. 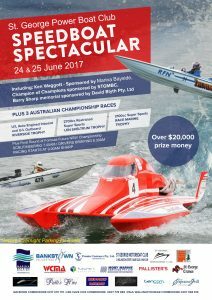 The closing date for entries for APBA Championship races is 8 February 2019. The following draft race program is subject to change depending on the entries received for various classes. See below for drivers information pack and carpark guide. Luckily we were able to complete our race program for Saturday 24th February 2018. Unfortunately the weather was against us on Sunday 25th. February. We plan to run some of the races scheduled for Sunday at our next club day on Saturday 23rd. June 2018. 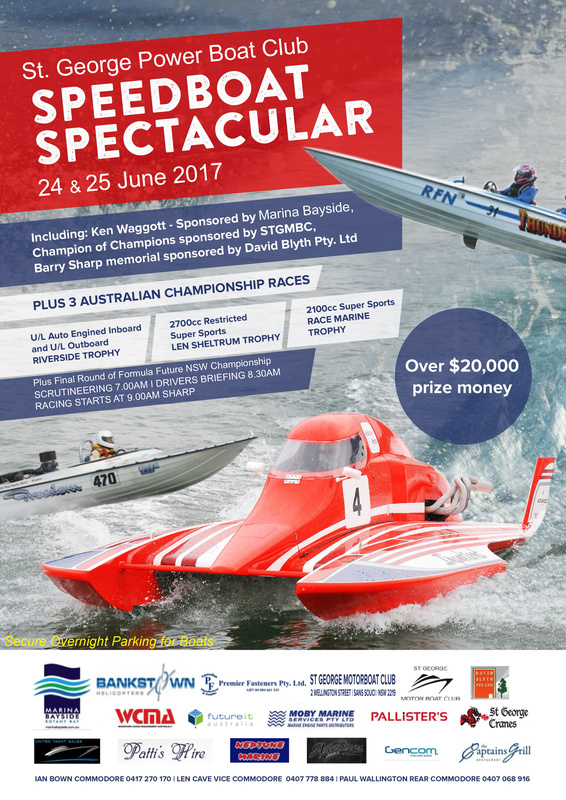 The NSW Formula Future Championships will be held on Sunday 24th June 2018. NOTE: Entry fee refunds are available for withdrawal due to mechanical issues or other problems if email request is received by the race committee by midday Friday 24 February. Account Name: St. George PBC Inc. Apologies for the delay in publishing the full race program, delays in the finalization of entries has required multiple changes to the program. The closing date for entries for APBA Championship races is Friday 9 February 2018. 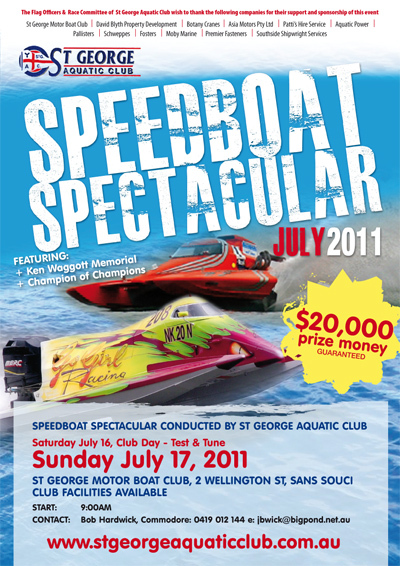 Please note that due to the withdrawal of the Hyper5 hydros, F1 boats will now be accommodated in Anderson Park.